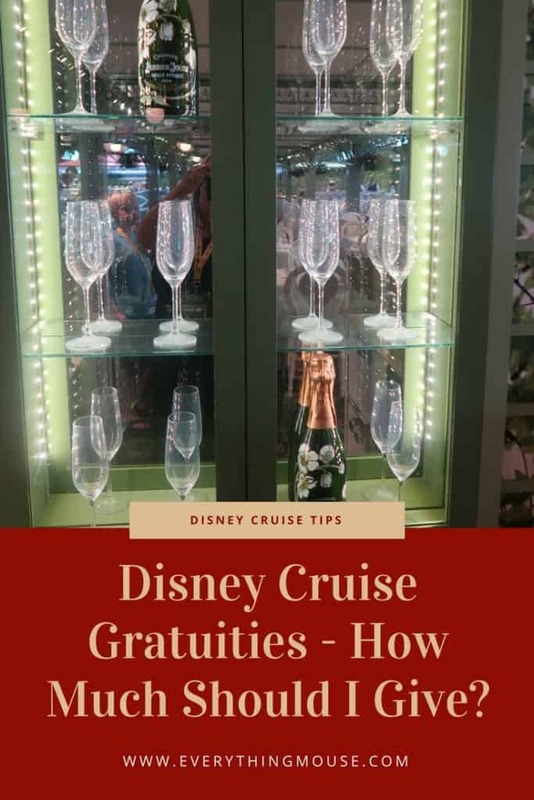 One of the things which first time cruises tend to get very confused about is how Disney Cruise Gratuities are calculated and charged. However, the Disney Cruise Gratuity system really isn't that complicated. You can follow our simple guide to Disney cruise tips and gratuities so you will know exactly how it works. These amounts are correct and updated in January 2019 when Disney Cruise Lines increased the recommended amounts. There hadn't been an increase for some considerable time. There are certain Crew Members on board who rely on tips as their salary. These are mostly your Rotational Dining Room Crew Members. Tips are expected for your Server, Assistant Server and Head Server. All of these people work extremely hard and we have always found that they are very much deserving of the standard amount of tips which Disney recommends. Usually we leave more than the recommended gratuity amounts as their service is so good. They really are worth it. Your Cabin Steward is also part of the team who receives the gratuities. They work very hard and rely on your generosity. Here is a Disney cruise lines gratuities calculator for you. These standard gratuities will be added to your stateroom account on the final night of your cruise. They are the same for adults and children. On the last night you will find Disney cruise line gratuity envelopes in your stateroom for each of your dining team and your stateroom host . You can use these envelopes to show the amount that you have added. If you want, you can give these envelopes to them directly. If you want to add more that is easy as you just fill in the form that you are given with the envelopes. You can also put cash in the envelopes if you want to. Can I Pre-Pay Disney Cruise Gratuities? Yes, you can pre- pay your Disney Cruise Gratuities online before you sail. You can do this up to 3 days before you sail. 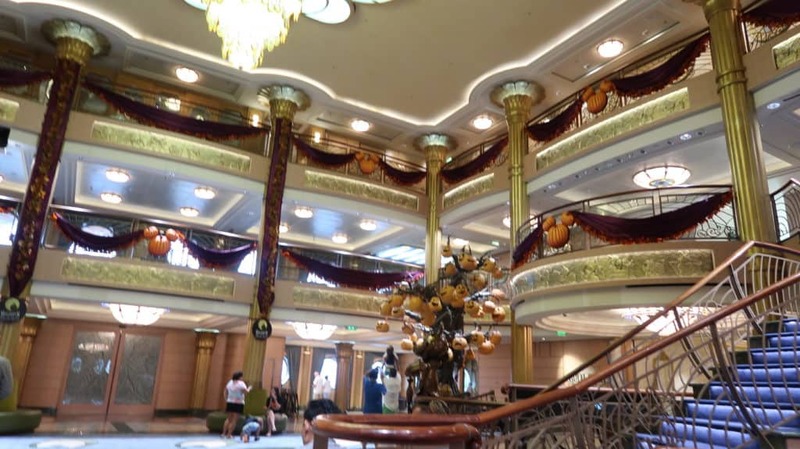 Pre paying Disney cruise line tips can be useful when budgeting for your Disney cruise. However, it isn't a requirement. If you haven't pre-paid, the charges will be added to your on board account. Who Else Do I Need to Tip on a Disney Cruise? There are some crew members who you should tip, but who are not included in the daily rate. Bar Staff. An automatic 15% gratuity is added to your bill. You will also be charged an automatic 15% gratuity for any drinks that you have to pay for in the dining room. These include alcoholic beverages and smoothies. So if you order a bottle of wine a gratuity will be added. You can add extra at your discretion. Room Service is free (although there are some chargeable items). It is customary to tip the crew member who delivers your room service. You can do this in cash. It's useful to bring $1 bills for this. Spa Services. An automatic 18% gratuity is added to all spa services. You can adjust the gratuity when you sign the receipt at the end of the service to add more if you wish. Palo and Remy servers are tipped at your discretion. Usually this should be not less than 18%. Concierge Staff. Many people ask the question of how much you should tip Disney Cruise Concierge Staff. You will be very well taken care of by your concierge team. There is no set amount to tip. You really should just use your common sense and discretion. Tip whatever you feel they deserve. You will receive an envelope in your stateroom on the last night of the cruise. Kids Club and Nursery Staff are not permitted to accept gratuities. Bibbidi Boppidi Boo staff are not permitted to accept gratuities.